Voice of Dominion in the attempt to celebrate and glorify God for raising able ministers to make His voice heard by all men across the world, showcases the beauty of Christ in co-workers in the vineyard in the likes of Dr. Shawn Smith, a voice worth hearing; who to us is an example that is worthy to be emulated. It is one thing to be a messenger from God and entirely another thing to be a messenger with a message from God. Dr. Shawn Smith is one of the servants of God with such a clear message that once you get hold of, you wouldn’t afford to let go. Voice of Dominion is greatly blessed to have such a voice reaching out to hundreds of thousands out there! We are proud of Dr. Shawn Smith and everything God is using him to do in the Lord’s vineyard. 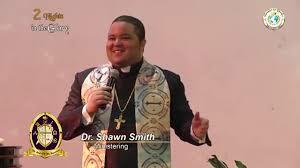 Dr. Shawn Smith is a duly ordained minister of Jesus Christ who was also elevated to the episcopacy and affirmed to the apostolate. 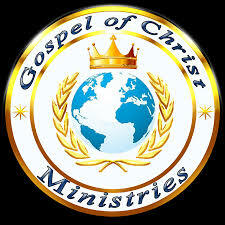 He is the apostolic overseer of Gospel of Christ Ministries. He has been expounding and preaching the untainted grace of our Lord Jesus Christ for close to two decades. ALSO READ Testimony: DEAD BROTHER RESTORED BACK TO LIFE!